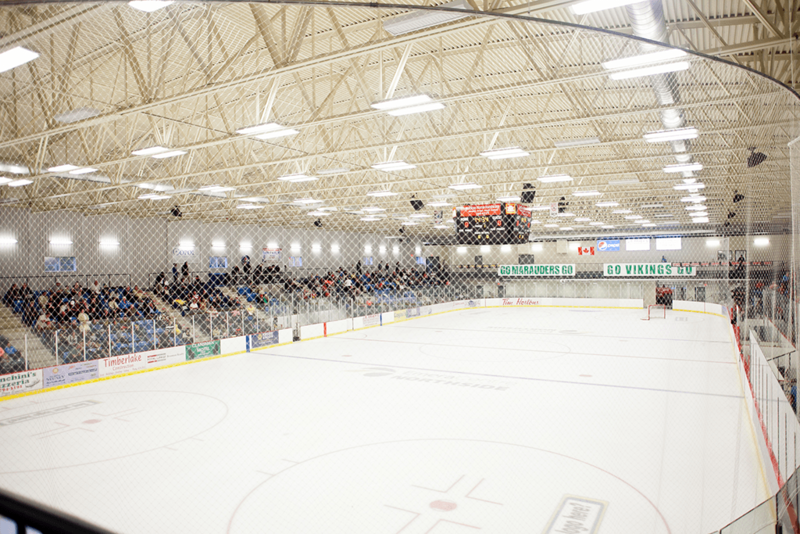 The Emera Centre Northside is a community recreation facility with an NHL-size ice surface, an elevated indoor mondo-flex covered 1/8 mile walking track, and convention and meeting rooms. We are very proud to be home to the Northside Vikings and Northside & Minor District Hockey Association, the Breton Sport & Trophy Major Bantam Cougars and the Memorial High School Marauders. We offer fitness classes three evenings per week. The Scotiabank North Sydney Multi-purpose Room (up to 40 people) with relevant kitchen amenities. The North Sydney Credit Union Community Room (up to 240 people) with a catering kitchen and bar for a variety of functions. A canteen and family area finish off the space. 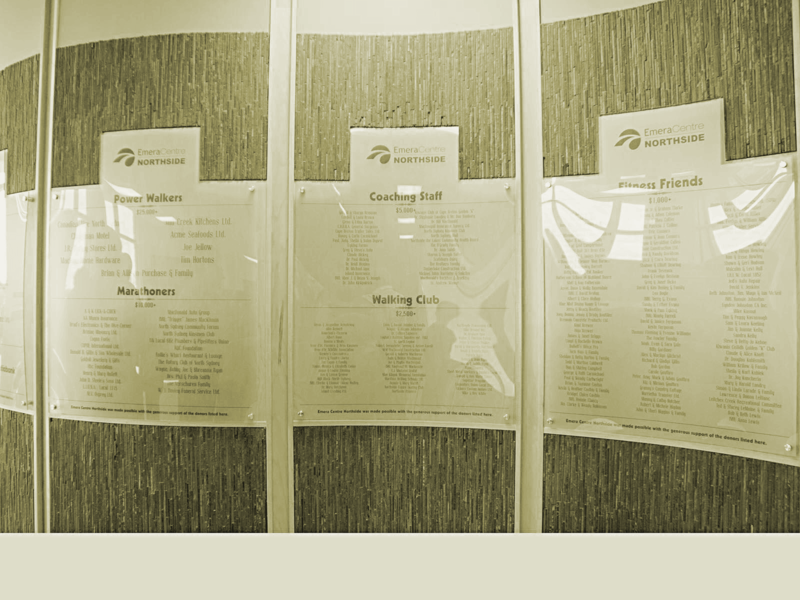 A Donor wall highlighting the names of people and/or organizations that supported the fundraising initiative financially. The Northside Sports Hall of Fame displaying the proud sporting history of the Northside with artifacts, photos and video. The best way to sum up what this facility provides is “something for everyone”. People of all ages enjoy the convenience of a modern heated facility. It means families getting out and spending quality time together at family skating, a hockey game, or perhaps catching up with an old friend for a few laps around the walking track. The community and multi-purpose rooms are perfect for weddings, showers, reunions and fitness classes.